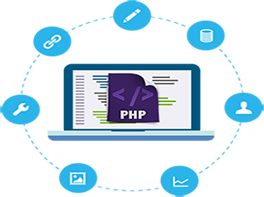 When it comes to functional & integrative web applications development, PHP Web Development is the very first choice for developer . It is the most profitable option to get powerful and robust applications. PHP is most popular open source scripting language. availability makes it all the more popular among developers. By using PHP Web Development, one can get the desired & customized features within applications. PHP code easily embedded into HTML it helps programmer to achieve desired look . Every language build for certain purpose in similar manner PHP build for Web development. A famous Social Media platform Facebook built in PHP. It is easily available to developers. It supports many platforms and different web servers. It has a big community to support the technology improvement. It is easy to learn and deploy. It is continuously updated to boost its functionality. It has different open source CMS like WordPress. Instaacoders is a top PHP app development company providing end-to-end PHP website development. We have highly qualified team of developers. They Maintain and develop applications according to your preferred functions and features. We have done complex projects in soft manner, Our PHP application developers are proficient in building customized applications by using the latest web trends and technologies. Our PHP development team deliver applications specifically developed to meet your needs. We provide customized PHP applications which meets your business requirements. InstaaCoders proficient in building web based customize websites like E-commerce, Job Portal ,business Application. We have a expert & dynamic PHP Team updated with latest PHP trends. we have done numbers of web project on core PHP and framework etc. Our development team proficient in Web services, Payment gateway integration or different API integration. Instaacoders Deals with Experienced Developer. InstaaCoders Work with Competitive Price.